New Delhi/Bengaluru: With the election results throwing a fractured mandate in Karnataka and both the BJP and the JD(S)-Congress combine staking claim, all eyes are now on Governor Vajubhai Vala who will decide whom to invite to form the next government. The BJP that emerged the single largest party is still eight short of majority but expects to get the first shot at government formation. 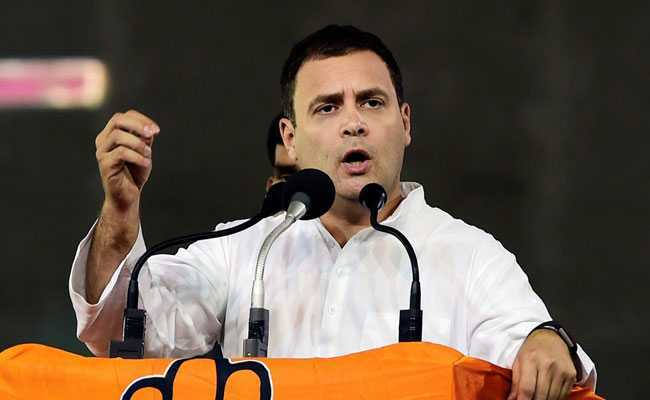 Deve Gowda’s party, the JD(S), finished third but has the “unconditional support” of the Congress, says it should be invited first on the ground that the post-poll combine has 117 seats, which is well above the half majority mark of 112 need to form the government.Congress spokesperson Randeep Surjewala said the governor is bound under the Constitution and legal provisions to invite their coalition to form the government in the state. “We expect Karnataka governor to invite JD (S)-Cong coalition which has clear majority to form government in the state. As per constitutional and legal provisions, the governor has no option but to invite the coalition,” he said. For the latest Election Results & Live Updates from Karnataka log on to NDTV.com. Like us on Facebook or follow us on Twitter for updates. In the past, @BJP4India has formed coalition govts multiple times. We’ve all seen it – with the most recent example being Goa, where the single-largest party (@INCIndia) was not invited to form the Govt! JDS and Congress will stake claim before the governor with signatures of 117 MLA’s. BJP legislative party meeting is scheduled at 10:30 am. The party is expected to elect BS Yeddyuruppa as the party leader during the legislative party meeting. “Tomorrow at 10:30 am in BJP legislative party meeting, I am going to be elected as party leader. After that all MLAs are going to meet the Governor to request him to allow BJP to form government. Now the ball is in the court of the Governor. 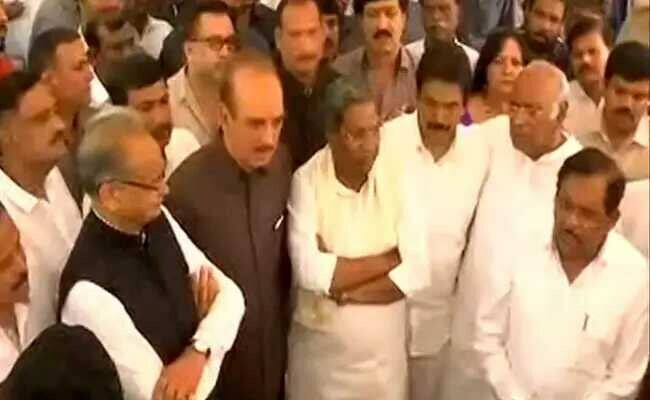 We will do as he decides,” Mr Yeddyurappa told NDTV. 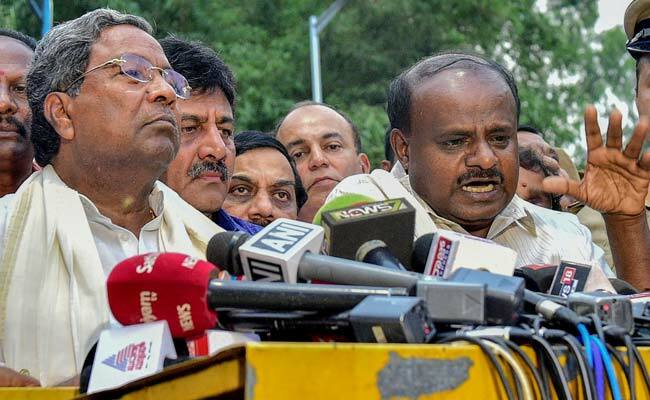 “We have 117 lawmakers, well above the majority mark,” outgoing Congress Chief Minister Siddaramaiah told reporters after the meeting. He rubbished reports of disquiet among the party’s Lingayat lawmakers to accepting the leadership of Mr Kumarawamy, who belongs to the Vokkaliga community. After the Congress defeat, the party showed political urgency and took the initiative of striking a deal with the JD(S). According to the agreement, the Congress pledged to back a government headed by JD(S) leader HD Kumarawamy. Congress is most likely to have a Deputy Chief Minister of its choice under the deal. Of the 222 assembly seats for which polling took place, the BJP has bagged 104. While the Congress has won in 78 constituencies, former Prime Minister HD Deve Gowda’s party JD(S) and its pre-poll ally BSP have 38 seats.